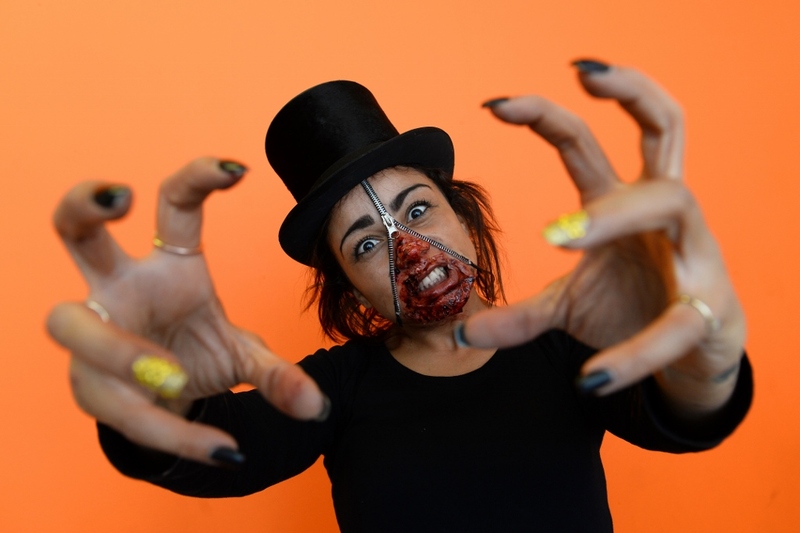 Salon-based students came up with some really hair-raising ideas when they put their thinking caps on to kick off Halloween celebrations at Wales’ largest training provider in style. 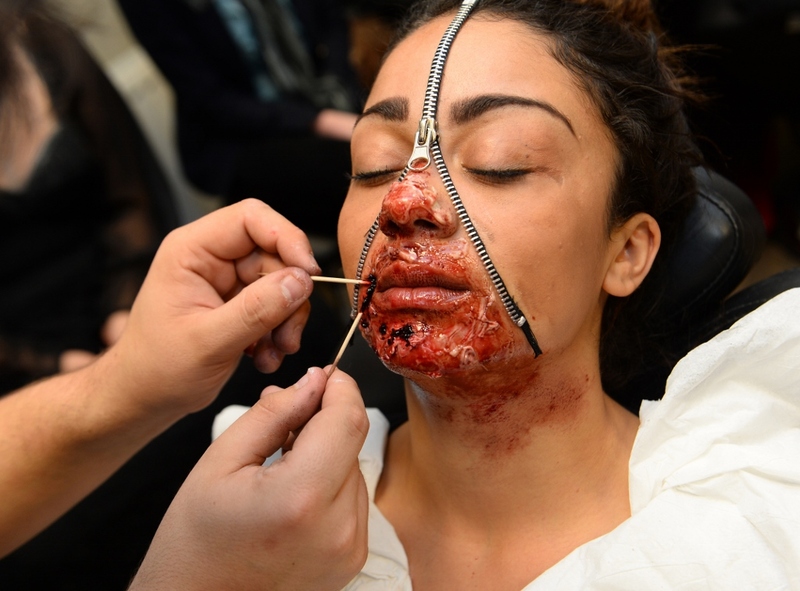 Learners based at ACT Training’s Cardiff salon came up with some pretty shocking results when tutors asked them to make their cosmetic nightmares a reality to mark the occasion. 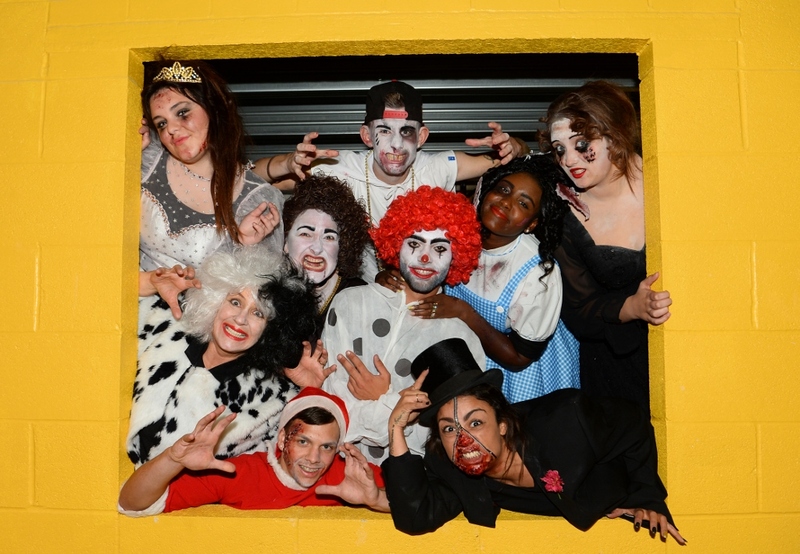 Hair and beauty apprentices based at Hadfield Road went wild when they were set the task of combining their creative expertise to create some ghoulish guises in honour of Halloween. Now staff that created the brief are looking to introduce a range of seasonal style projects into the annual learning calendar after the results of ACT’s first-ever spooktacular style challenge turned out to be more ghastly than they could have ever imagined. Kim added: “I don’t think any of us were quite prepared for just how terrifyingly realistic, or quite so stunningly crafted, some their creations would be though, and we’re now thinking of rolling out the brief to incorporate other occasions like Christmas and Easter too. ACT Training is Wales’ largest training provider, providing more than 30 routes to a range of learning opportunities for young people across the country in the form of traineeships, apprenticeships and other vocational qualifications. For hair and beauty trainees it operates flagship salons in Cardiff, Bridgend, Caerphilly and Wrexham, where training is delivered by tutors with big industry credentials and often a background working with some of the sector’s leading celebrity names. 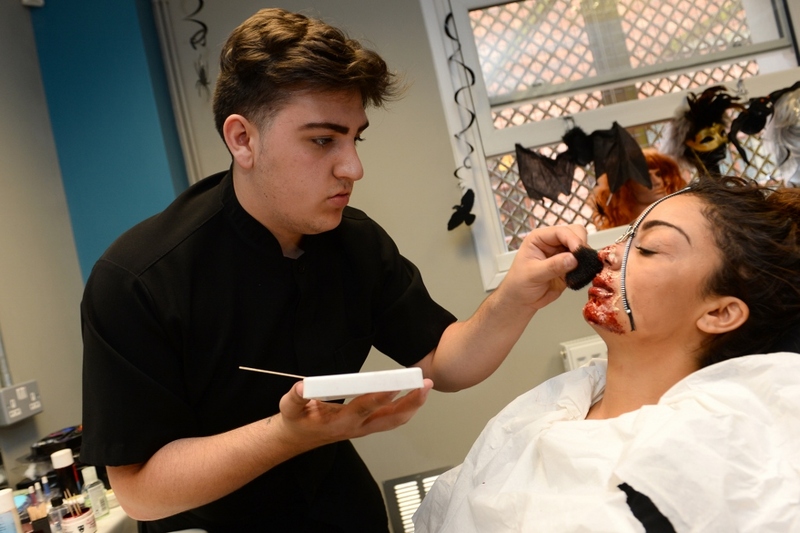 Lee Hatim, 17, who has a Beauty Level 2 qualification and is currently studying towards his Hairdressing Level 1 qualification at the Cardiff salon and was among those challenged to come up with a lurid look in honour of Halloween at Hadfield Road. Lee, who responded to the brief with a variety of creations including a vampiress, a clown and his own version of Beatle Juice, said: “The course here is great in teaching you how to behave in a salon and treat your customers with the right level of care and attention, as well as providing all the technical know-how you are likely to need when you get a job afterwards, but it’s also nice to be able to let loose once in a while.